3LAB was so inspired by our favorite Style Guy, Lloyd Boston's, Red Carpet Report on Extra that we decided to host our own friendly in-office awards for best celeb skin. We want to bring out the inner celeb in everyone and so we came up with winners for "Award Worthy Skin" straight from the red carpet and our tips on how to obtain it. First time Oscar winner, Sandra Bullock, looked absolutely stunning in a Marchesa gown on the Red Carpet. This seasons biggest beauty trend, the colored lip, served as the perfect complement to her gorgeous bold skin. To get Sandra's camera ready beauty use 3LAB's PERFECT Mask to firm the skin and create a bright and even complexion. Follow up the lifting and brightening treatment with Shine Stop Moisturizer for a matte finish that leaves your skin hydrated without clogging pores. These products prep the face for makeup application, revealing your own award worthy skin - now thats just PERFECT! Recording artist, actress, entrepenuer and busy mom Jennifer Lopez looks stunning in Armani Prive. Jennifer is simply glowing with her signature golden girl complexion. To get this glowing look try 3LAB's WW Cream. WW Cream contains advanced ingredients that contribute to an even skintone that combats signs of aging such as fine lines, sagging and winkles all the while hydrating your skin. WW Cream, the ultimate moisturizer, can be complemented with WW Eye Cream which lightens dark under eye circles and reduces the appearance of wrinkles. In addition to this treatment, the WW Eye Cream also gives a little "lift" for brighter eyes that look awake and youthful. If you find yourself multi-tasking like La Lopez, have your skincare do the same with WW Cream and WW Eye Cream which works just as hard as you do! 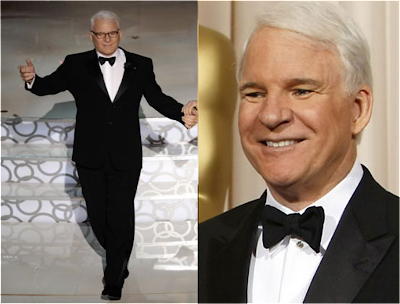 We swooned over this year's c0-host of the Oscars, funny man Steve Martin who looked handsome in Tom Ford. Steve Martin's striking silver hair complements plump, youthful-looking skin that. To get the same ageless skin we suggest 3LAB's "h" Serum which replaces vital nutirents lost with age and speeds up cellular turnover for youthful, healthy skin. And after such an effective serum don't forget to hydrate the skin. Our favorite is Hydra Day with Water-Based SPF 20 that is a water based moisturizer which locks in hydration while protecting your skin from UVA/UVB rays and fighting off harsh enviornmental factors such as wind, pollution, smoke, etc. 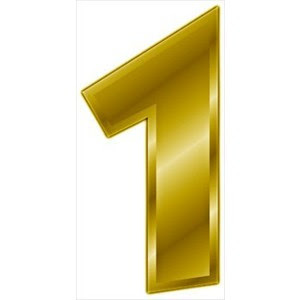 Let us know who your favorites are and for more Stlye buzz check out Amerca's "Style Guy" Lloyd Boston.